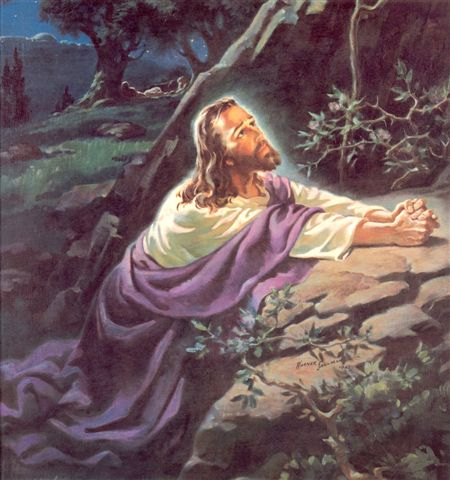 Warner Sallman was a very prolific Christian artist, and painted over 500 artworks. This consisited of his very famous religious art, but also included landscapes, portraits and commercial art. Where is the art now? As you might surmise it is in many places and enjoyed by many people. Some of the original pieces that were at one time painted for copyright owners Kriebel and Bates, are now owned by Warner Press in Anderson, Indiana. They are housed at the Wilson Galleries at Anderson University, Anderson , Indiana and are sometimes on display. We, the Warner E. Sallman Art Collection, own some of Warner's artwork and much is owned by and in the private collections of the Sallman family. You will find some of it at North Park University in Chicago, IL and some in the private collections of Warner Sallman's friends. One piece "Looking to Jesus" is in Nkinga, Tanzania, Africa and many origial chalk drawings of the "Head of Christ" are in churches of all denominations. The Catholic organization Legionaries of Christ, a part of Regnum Christi, uses a Sallman image as a part of its logo. 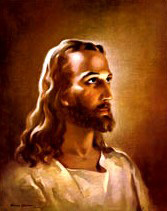 In July of 2007 the oil painting of the "Head of Christ" was on the cover of Newsweek magazine. A complete inventory, as of 1999, can be found in the book "Master Painter Warner E. Sallman" written by Dr. Jack R. Lundbom, and is available to order on this website.